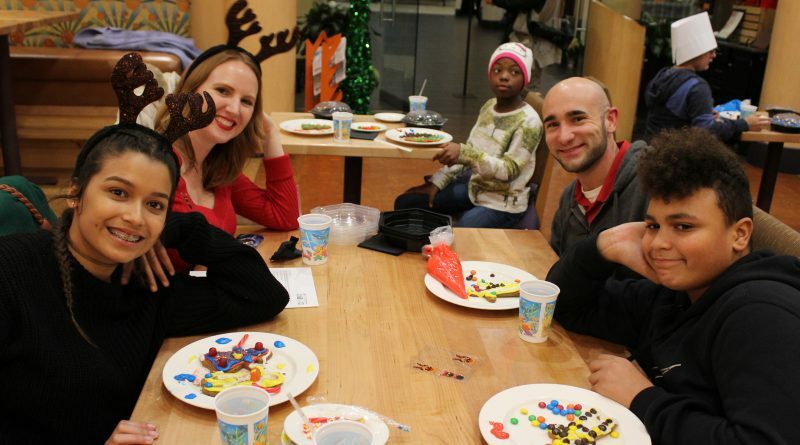 NATICK – Yesterday, December 12, Pantry, the restaurant located at the Verve Crowne Plaza Boston-Natick hosted a cookie decorating party for members of the Big Brothers Big Sisters of Central Mass-MetroWest. Alongside Pantry’s Lead Line Cook, Kelsie Goyette, the chefs-in-training rolled up their sleeves and suited up with their own chef hats and learned how to make the perfect batch of sweet treats. From traditional holiday-themed sprinkles to colorful red and green frosting, the kids had all the toppings they need to make their treats joyfully delicious! After partaking in a new holiday tradition, the kids enjoyed their jolly confection creations together before taking them home. Whether their treats are decorated with Santa’s reindeer or Frosty the Snowman in mind, the cookies are sure to be a hit with family and friends just in time for the holidays. 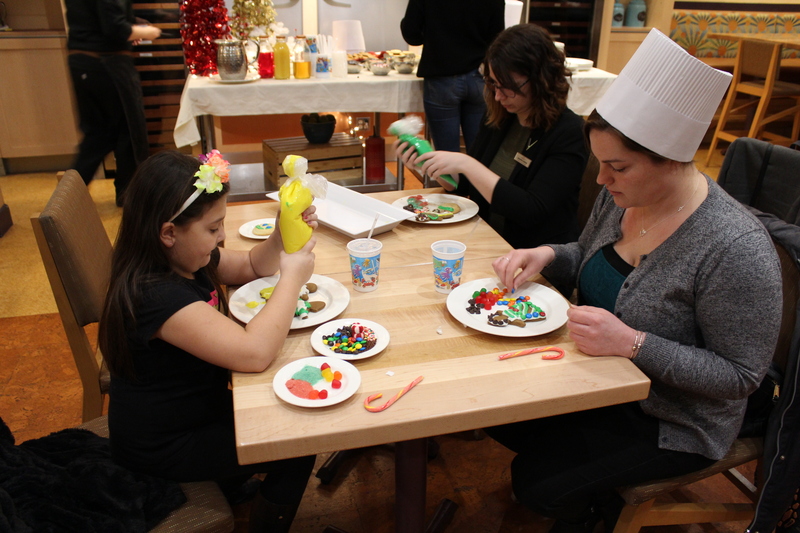 Enylise, age 9, and big sister Carissa Harris decorated their gingerbread cookies with festive candies at last night’s cookie decorating event at Pantry, located at The VERVE – Crowne Plaza Boston-Natick. Jasmine, age 10, and big sister Leah White decorated sugar cookies alongside Pantry’s Lead Line Cook, Kelsie Goyette, last night for a holiday cookie decorating extravaganza at The VERVE – Crowne Plaza Boston-Natick. 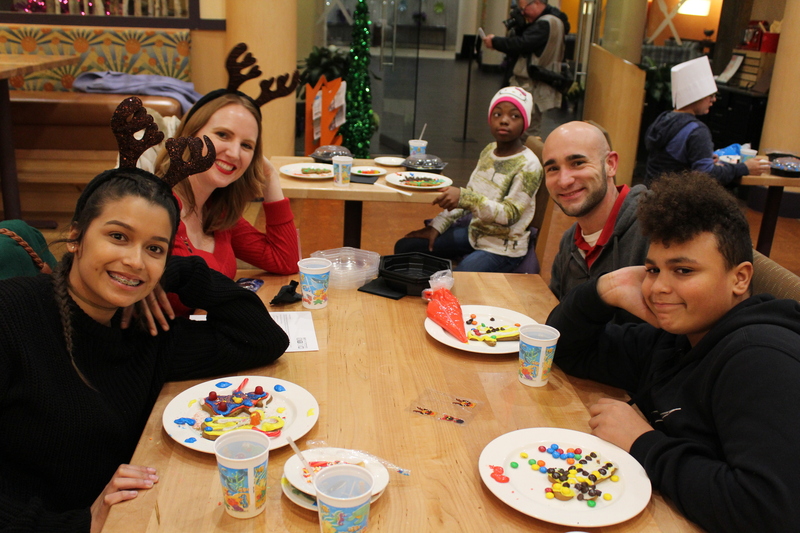 Janisha (age 14,), her big sister Melissa Dion, Jeremy (age 11), and big brother William Vital enjoyed each other’s company while decorating holiday cookies at last night’s event at Pantry at The VERVE – Crowne Plaza Boston-Natick.